Research shows us that potentially a loft conversion and or extension could add up to 20% extra value of your home. If you in fact convert your empty loft space into a luxury area you could increase value whilst also adding extra space for the entire family to enjoy. In any loft conversion, any large or relatively large building project or even the majority of conversions. The first stage is to know what your initial purpose is, what you want the final result to be and what you can actually gain by the completion of the conversion. Your aim may be to have an extra modern living area with a gorgeous view for when guests come round, an office space to concentrate away from the disturbance of other and even having a couple extra bedrooms. No matter what your purpose and fantasy is for this extra area The Luxury Loft Company can make these ideas a reality whilst also giving you a great insight to how the final conversion will look. We convert multiple different kinds of lofts whether it be your common and average loft of a loft that may seem to be quite out of the ordinary, the likelihood is that we have already worked on and converted a relatable one. Take a look here at the different types of loft conversion we can cover in Edinburgh and the Scottish Borders. Whatever the conversion and or extension that we pursue, does not only give our customers the opportunity to get the most out of their property but also will add a considerable extra amount of value to their house. Alongside all of this, we also deal with all of the liaison with the planning department and the local authorities for our clients. This means that you don’t have to have the stress and inconvenience on your shoulders of having to deal with them. This is why we are in fact the number one choice in Edinburgh and The Scottish Borders for all homeowners that are looking for loft conversions. 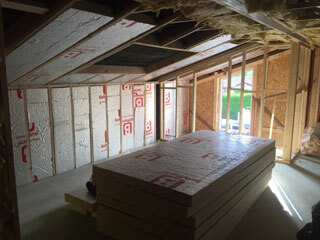 We aren’t like any other Edinburgh based loft or attic building companies, we refuse to cut corners or try and minimise spending costs that are necessary during construction. We aren’t always the cheapest option in every case, however, we will be the most cost effective as we give our utmost attention to detail. We really are specialists in our specific field and believe us when we say that our unique process has a huge impact on the overall project for our customers. We understand as a company that our customers want the best conversions that are possible, at a fair price but with the confidence and peace of mind that only such a professional company like ours can offer to them. Delivering the finest loft conversions Edinburgh has on offer is what we do best! 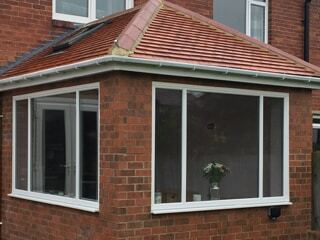 Why would you spend all of your hard earned money on something like a loft conversion and or attic extension if it doesn’t actually add any value to your home? 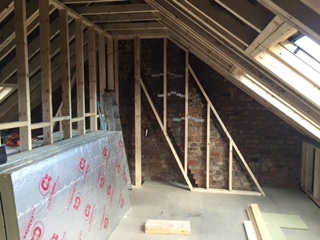 If all you want is to board out your loft/attic space to make for some extra storage then we won’t be the company that you are looking for (but we do have a lot of loft conversion related posts which could help you, on our blog). With The Luxury Loft Company, we want you to actually see all the expenses of you converting your loft amount into a real investment. A completely customized and great quality service that will increase your properties value by quite a considerable amount. Alongside the financial gain, you will also add a new prestigious space to your home for all of the family to enjoy. Every kind of loft conversion must have very careful planning and consideration from the first step of the process all the way to the final step of the process. This is why our experts are at your disposal to precisely plan all aspects of the build that is taking place. 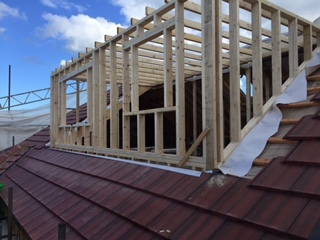 We always make sure that we over-deliver for all customers no matter what the expectations are from the very start to the end, this is what makes us one of the lead loft conversion companies in Edinburgh and The Scottish Borders. We have worked on multiple different projects over the years and offer the very best loft conversions and attic extensions that Edinburgh has. All conversions or extensions at The Luxury Loft Company starts with our extremely experienced managing director Daryll Chana, who will work with you to create a real and practical design. A timescale for the entire project so that both parties will know exactly what is expected is put in place at this stage. Finishing off with a personalised service where our building team at The Luxury Loft Comany understand that it is your home and not just any building site! Daryll will project manage your entire job and see through the whole loft/attic conversion process, every single step of the way. You can find out more about Daryll and The Luxury Loft Company, right here. It’s our commitment to put the customer first and before anything else, it is our eye to detail and unrivalled work ethic that sets us apart from every loft building company that is based in Edinburgh and the Scottish Borders. This is why The Luxury loft Company is the number one choice for loft/attic conversions in Edinburgh and the surrounding areas. We cater for all kinds of homeowners who are looking to take their loft construction to the next level. Your home is more often than not your biggest investment and should always be a growing asset if you keep it managed in the correct way. Don’t use anyone but the best loft conversions Edinburgh and the Scottish Borders experts have to offer. Our testimonials and portfolio of our work, shows our long history with this field of work, the multiple different relationships we build with customers and the quality of our planning, construction and workmanship. We’ve almost got two decades of experience and have completed thousands of different conversions, creating spacious rooms out of prior unused storage spaces which were just there for the sake of being there. In and around Edinburgh. When you use The Luxury Loft Company for your loft conversions, attic extension and whatever other tasks you have in mind you can trust that you are in extremely good hands. All the work that we produce is fully covered by our 10 year warranty, which gives you the confidence and peace of mind on all of the work we carry out for you. To discuss your loft conversion and make sure it’s a real return on your investment contact the attic conversions experts, The Luxury Loft Company, today on 0191 300 2159. We truly believe we provide the best loft conversions Edinburgh and The Scottish Borders has to offer. If you’re in the Newcastle region we also have our main office, The Luxury Loft Company. Visit the website for more info now.